The goat sat wisely on his tree stump. It was his place to observe the world and to think. There on his stump he felt royal and in possession of his surroundings. Other animals knew this. Other animals knew better than to try to take his place on the stump. The goat was used to this, and he enjoyed the attention. He gazed back at them as they pointed and clicked their cameras. There atop his stump he was perfectly poised. From the tips of his horns to the whiskers of his chin he expressed the confidence and satisfaction of his years. His steel-grey eyes never blinked. The ears adjusted only slightly. After the car drove away, the goat turned his head from the road. His hearing was good, and if another car came he would know before it came into sight. He would also know if it was a familiar car, one that was used to seeing the goat on his stump. Those cars might notice, but they had no need to turn around. Others would come along that did. The goat imagined the pictures they made of him from those cars. He knew that the colors of his fine coat matched those of the wood he sat on, as if intended. His health was apparent in the shine of his eyes, his polished horns, his damp nose. Somewhere nearby was the mother of his recent offsprings. He thought of how she gazed at him adoringly and craved his attention. A dusty chicken was pecking small gravels around the base of his stump. The best a chicken can hope for, he supposed. The horse nearby swatted flys with its coarse tail. 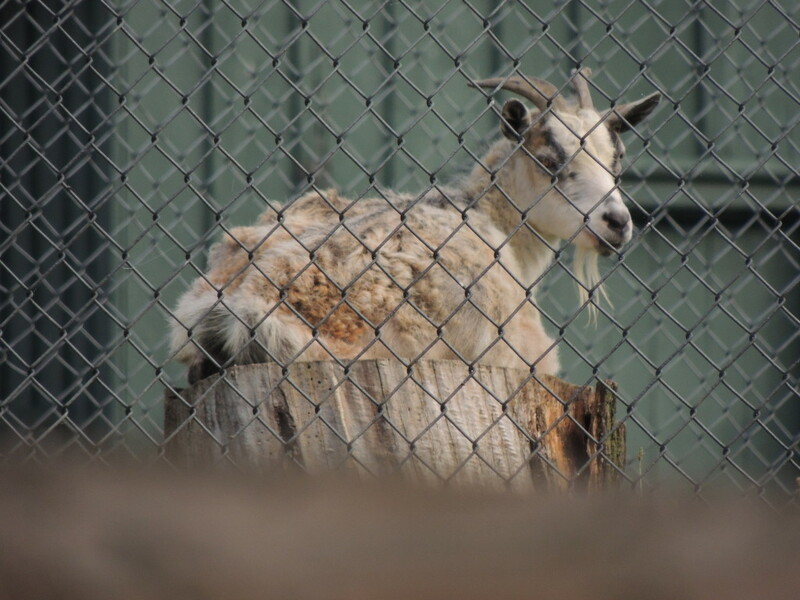 There are worse things to be than a goat on a stump in Pennsylvania.